We are delighted to announce that DSG Energy Limited has been recognised in the “Service & Courtesy Award” for the first time, with three of our front-line staff appointed as “2018-19 Retail Ambassadors”. Appointed retail ambassadors will take the role to promote retail industry at various events that organised by the Hong Kong Retail Management Association in the year of 2018-19. Through this program, we hope to encourage and affirm the efforts of front-line colleagues and increase their sense of belonging. Also, to enhance our company brand image by building it as a premium brand and continue to maintain a superior service level. Our key winning factors are to serve our customers by upholding the principle of “Safety First, Customer First”, arrange regular mystery shopper assessments, and to provide comprehensive training to front-line staff, to ensure service consistency and bring innovative service experience to our guests. 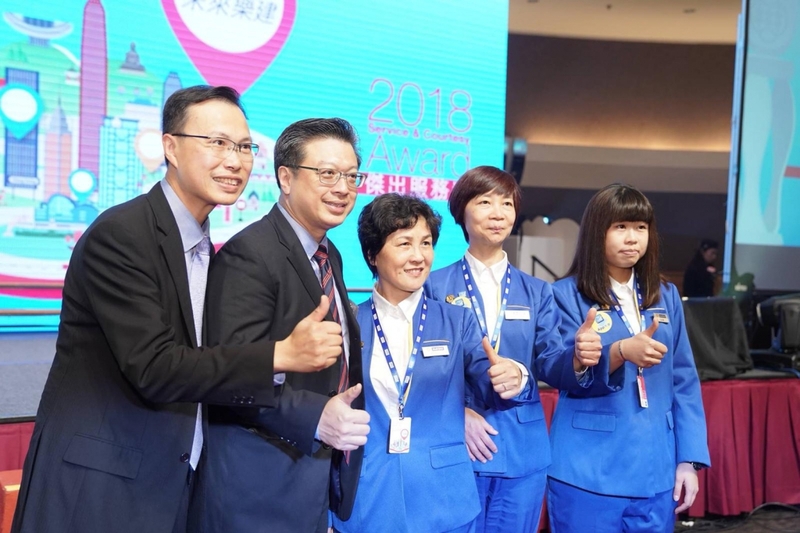 The Service & Courtesy Award was introduced in 1986 and has been one of the most actively supported events by members of the Hong Kong Retail Management Association and the trade. Highly respected as the Oscar of the retail trade in Hong Kong, the Award has been successful, over the years, in promoting the awareness of service within the retail industry. It has become a well-recognized annual activity that retail practitioners anticipate with keenness and excitement. Winners and their companies receive very extensive industry recognition and media coverage. Mr Samson Lam, DSG Energy Limited Managing Director (left two), joined the award presentation ceremony to congratulate Chu Shuk Ying, Anita, Cheung Ka Lai and Wa Ka Lai, who were appointed as “2018-19 Retail Ambassadors”.